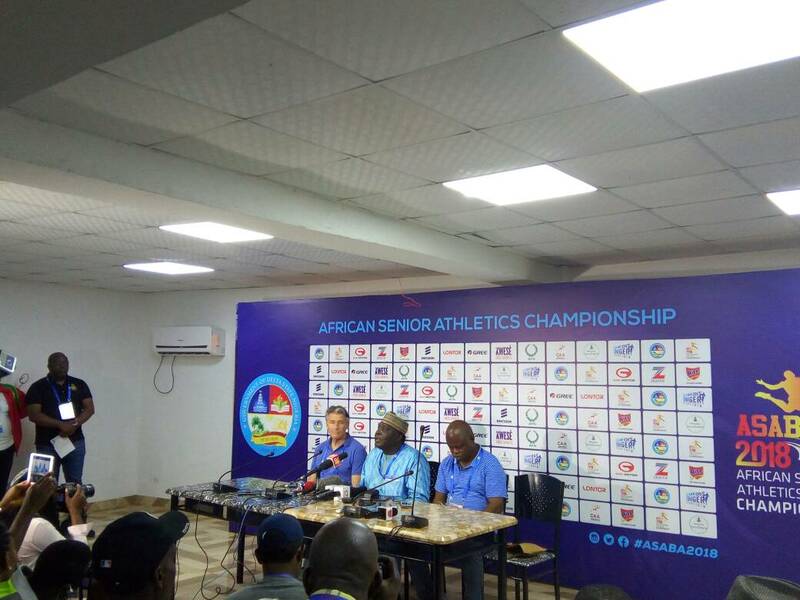 IAAF President Sebastian Coe has praised the Delta State Government for agreeing to host the 2018 African Senior Athletics Championship currently holding in Asaba. Coe was speaking during a press conference held on Thursday as he also expressed delight at being in Delta State for the competition. The IAAF boss then revealed that he would be working towards getting more support for African countries even when they are organising their regional meets. “My team are also here to look to address and observe to see how they can be more helpful in the delivering more opportunities.” He added. On his part, the LOC Chairman for CAA Asaba 2018, Solomon Ogba apologized for all the shortcomings and also addressed the overblown reports about athletics sleeping at the Lagos Airport before making it to Asaba. Ogba explained that most of the affected athletes arrived at the Lagos airport by the time Asaba airport has closed. He stated that the athletes were checked into good hotels that same day for two days before planes were made available to fly them to Asaba. “The Nigeria media did not help matters and did not ask questions from the right source. If the team had given us their arrival schedules, we would have known were they would be arriving. This is Africa, people who cannot provide for you when they come, they’ll want to attack because they see Nigeria as a big brother.” he added. The LOC boss, however, apologised to the journalists covering the championships for the hiccups observed at the start of the event. He also debunked the rumours that Tanzania pulled out of Asaba 2018 as he revealed that they never expressed intention to be part of the African championship in the first place; having been absent at the Delegation Registration Meeting.